I Love My Child – Why Am I So Angry? It was before the days of home pregnancy tests. I left the doctor’s office absolutely thrilled. I was expecting our first child. My husband and I had been married for three years, and now we had a new little one entering our family. Everything seemed so perfect! I began decorating a nursery, and yes, before the days of ultrasound where everyone knows if the little one will be a boy or girl. I still recall the yellow and green Peter Rabbit decor. Still, all seemed so perfect! But as the pregnancy progressed, problems began to surface. My blood pressure rose, unexpected complications occurred, and by the time I was four months pregnant, I was on total bed rest. My regular OB-GYN would no longer keep me as a patient, and I was referred to a high-risk doctor. Through four long months of bed rest and an early c-section delivery, what occurred in my heart was a desire beyond description to have this baby. After ten days of neonatal intensive care, I could finally bring my little bundle of joy home. Truly he was my bundle of joy! Oh, how thankful I was to have this little one in my life and in my home! He immediately became my ever-present “sidekick”. I kept him right with me all the time, and if ever a mother delighted in an infant, I delighted in him. Rocking, singing, nursing, playing, bathing – it was all a joy! Again, I thought, all was perfect. Months passed and turned into years, and a problem was developing. My precious little boy had a mind and will of his own. He was very strong-willed and determined to have his own way. I was intensely frustrated much of the time and found myself getting very angry with this one who I loved so dearly. How could this be? And more importantly, how was I supposed to deal with him? Through a combination of circumstances, including my struggle in raising my son, I saw my need for The Lord, and it was then that I turned to Him for salvation. The Lord began to change me, but I still fought with the anger that would arise in me. I had a Master’s Degree in Education and a number of years experience in teaching kindergarten, but neither of those things equipped me for dealing with that anger. I was spending time in the Bible and was growing in my spiritual life, but my problem handling my son persisted. One evening after my husband had come in from work, he asked, regarding our son, “Do you always have to yell at him?” Very irritated, I promptly replied, “I do NOT always yell at him!” And then I thought – if he were here with him all day he would yell at him, too! Something had gone terribly wrong. In the course of time, my feelings of incredible delight toward my precious child had turned into utter frustration! As the next few days passed, I heard my husband’s words echo over and over in my mind. Finally, I began to realize that he was right. 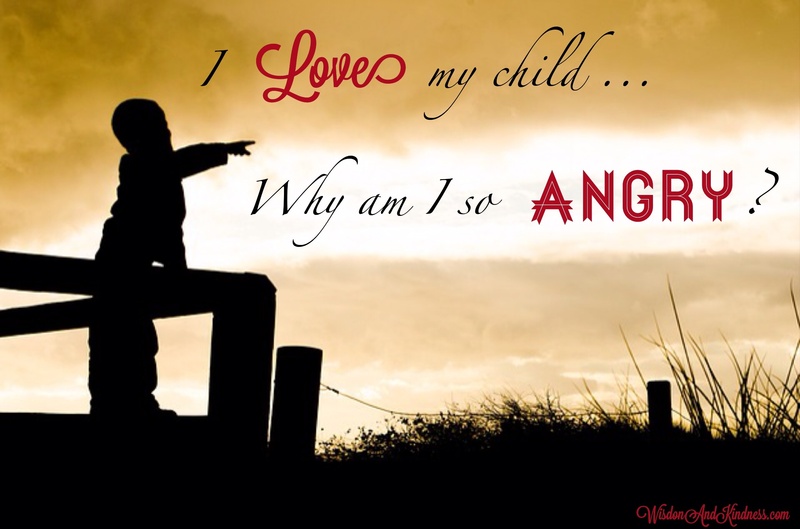 I truly did love my child, but out of my frustration, I did not treat him as though I loved him! And, yes, I did yell. My husband’s words, which I had resented and resisted, had actually served as a wake up call for me. It was then that I began to pray and ask for The Lord to help me with this anger. I knew that somewhere in the Bible there was a Scripture about being angry and not sinning. With my Bible and a concordance in hand, I set out on a search. And there it was in Ephesians 4: 26 – Be angry and sin not … Then I noticed a cross reference by this verse, so flipping pages I settled into Psalm 4:4 and began to read: Stand in awe and sin not : commune with your own heart upon your bed and be still. Offer the sacrifices of righteousness, and put your trust in The Lord. It was there that I found the steps that would bring me into total freedom from my anger problem. I was a young Christian, and I took the Bible so literally. This is exactly what I did that I might be angry, yet not sin. I would go into the privacy of my bedroom, leaving the door open that I might hear to be aware of where my son was. I would literally lay across my bed and talk to my own heart. I would be still and calm myself down. Based upon Hebrews 13:14-16, I learned that the sacrifices of righteousness are actually praise and giving thanks. So, again taking the Scriptures literally, I would praise my Lord and thank Him for my son and the blessings that I experienced as a mother. Then, I would trust The Lord. Time and again I would take myself through these steps and then deal calmly with my son as needed. As I walked in these Scriptures, The Lord removed that anger from my heart and renewed the joy that I had experienced with my child as an infant. I continued to grow in these truths until I no longer needed to withdraw physically to get control of myself. I could stand right in the room and go through those steps within my heart. Here was the key – As soon as I began to feel that anger begin to arise in me, I immediately had to go through my “steps” so that the anger would not spill out! Withdraw momentarily, be still, praise, give thanks, trust! By the grace of God, that pattern became second nature to me, and over time, I was free! My relationship with my child was renewed. Once again, he became my little “sidekick”. We spent all of our time together as we homeschooled for many years. My little bundle of joy grew into a 6’4″ teenager, but he was still one of my greatest sources of joy! Because when The Lord does a work, He does it fully, I must also share this part of the story. When my son was in high school, one of his teachers came to me after church and shared that she had heard some of the students talking about their parents and how they treated them. My son was in that conversation and had said, “In all my life, I only remember my Mom yelling at me two times!” Wow! I thought. My Lord had not only freed me from anger, but He had fully redeemed that whole part of our life. It was as if it had never occurred. I went home that night, laid across my bed, was still, praised My Lord, and offered up thanksgiving! How wonderful is my God! How wonderful is His grace! And how wonderful is His Word! To God be the glory! Mom, Will You Play Legos With Me? I sat on the park bench, watching my eight-year old son playing with a friend. As I enjoyed the beauty of the day and the simple joy of the children laughing and playing, a Scripture came to my mind: Love your children … Oh no, there it is again, I thought! That Scripture had been on my mind constantly, returning time and again. Love your children … I had heard it over and over in my mind. I knew the Lord was trying to speak to me, but I just didn’t understand. What, Lord? What are you trying to say? Here we were at the park. I had gotten his friend to play with him, picked up a pizza to bring along, and brought the boys to the park for the afternoon. Yet, I was hearing love your children again. I was actually feeling a little frustrated and confused. I really didn’t know what The Lord was trying to get me to understand. What else did I need to do? As the boys played, I ran many thoughts through my mind. I truly did hundreds of things for my son. I left a career to be a stay-at-home mom. I cared for his physical needs impeccably. He was very well-dressed at all times. He was well-fed, with his nutrition as a priority of mine. I homeschooled him, spending hours pouring into his heart the Word of God, as well as being certain that academically he functioned at the top of his age group. But still the prompting persisted: Love your children. I really didn’t know what more I could do. I had given my life to raising him, and I reminded myself once again of the multitude of things that I did for him. Well, the play date was over. We took his friend home, and we happily returned to our home. Happily for him, but I was still troubled within. I knew there was something that I needed to learn. I grabbed my Bible and withdrew to my room. I bowed my heart before The Lord and asked Him to show me what He was trying to say. I knew there was something that I just didn’t understand. I opened my Bible to Titus 2 to the passage where older women are instructed to teach the younger women, and there it was … Love your children … Love your children … Love your children. I knew that I had to understand that phrase. I pulled out a Bible dictionary and searched for the definition. What I found opened my eyes, spoke to my heart, and answered my question. The word used here for love was not agape, the self-sacrificing love to which the Bible so frequently refers. This word for love was phileo, the kind of love that focuses on relationship. It actually describes a friendship love. It was then that I saw the truth that I had missed. It was then that I understood. I had spent years doing things “for” my son. I had actually given my life to that. But what The Lord was calling me to was to do things “with” my son. I could see that I needed to focus, not only on the tasks at hand, but on the relationship. I began to run so many things through my mind. Yes, I did that “for” him. And I did that “for” him. And I did that “for” him. But there were not too many “with” things. Even the afternoon outing to the park had been “for” him. Then came the flood of questions that I heard replayed in my mind. Mom, will you play Legos “with” me? No, Mom has to fix dinner… Mom, will you ride bikes “with” me? No, Mom needs to do the laundry… Mom, will you play a game “with” me? No, Mom is busy right now. The tears began to flow. Now I saw. Now I understood. I had been so focused on all of the things that I did “for” my son that I was missing the most important thing of all – the relationship “with” him! God did something major in my heart that day. He gave me a new priority. The truth love your children became very special to me. 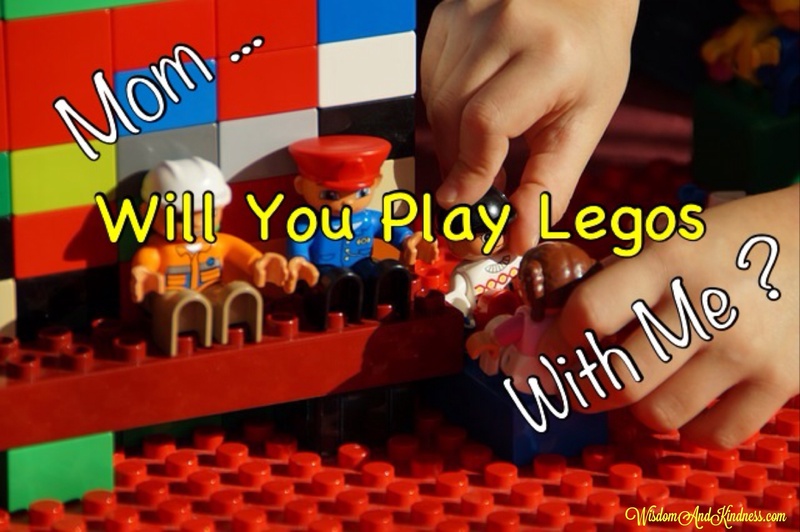 Now, when my son would say: Mom, will you play Legos with me, I could hear the “with me” loud and clear. And I would do my best to say: We sure can! Even if I could not do it right at that moment, I was sure to let him know that we sure can! Days turned into weeks. Weeks turned into years. Although I still made mistakes, I am thankful that The Lord persisted to teach me that truth. Love your children – a truth I desperately needed to learn. My son is grown now, with a family of his own. Do I have any regrets in raising him? Do I regret giving up a career to be a stay-at-home mom? Not for a moment! Do I regret giving all of those years to homeschooling him? Not for a moment! Do I regret painstakingly caring for his needs? Not for a moment! Do I have any regrets at all? Only one comes to mind – that I would have taken every opportunity to do things “with” him. The childhood years pass way too quickly. Love your children. It is a decision that you will never regret! Mom, will you play Legos with me? We sure can! We sure can!